Immense possibilities await us in the session 2018-19 as Mahadevi Birla World Academy is poised on the threshold of change. 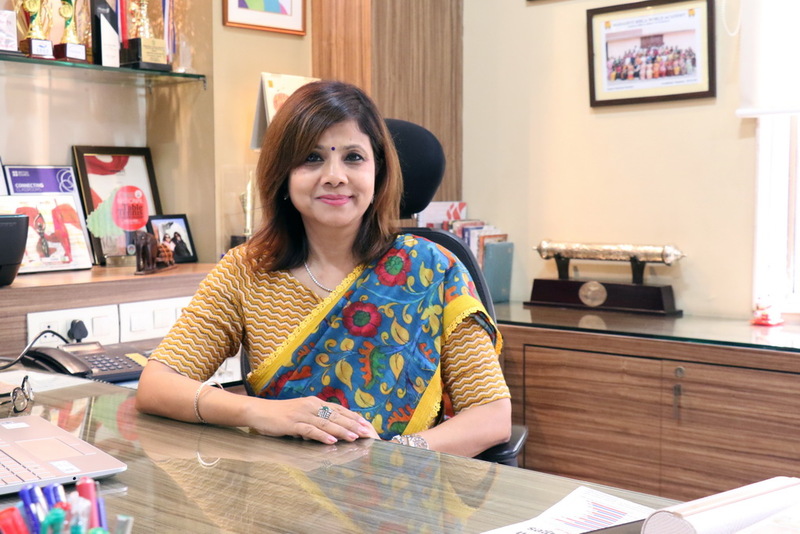 From being a co-educational institution to introducing International standards and new techniques of teaching learning, a lot has happened over the last four years. Pursuing excellence in all spheres of activity and making learning a rich and varied experience are our obvious aims but we at Mahadevi Birla World Academy believe that we have a greater mission. While the pursuit of knowledge, we feel, will give our students immense power to explore the vastness of space, we would also like to work towards nurturing their senses to be able to heed to the gentle stirrings of nature and to listen to their hearts even as their minds are full of the fruits of knowledge. We hope to be able to touch the lives of our children in their growing years so that they may find the clarity and wisdom to live happily, confidently and freely in this frenzied world. However, we can’t guarantee to ourselves the satisfaction that our students will succeed and be happy after they have received the ‘right education’. The answer, we feel lies, not in pursuing one’s ambition, not in self oriented goal seeking but in building love, empathy and unconditional caring which for us, is what constitutes ‘right education’. Only then may we hope to ensure that our students will remain untouched by the distorting influences of comparison, fear, competition and envy. We believe in a new vision of education that we hope will secure academic excellence without the trappings of greed and pride. To achieve this, we will have to re-invent ourselves, plant the seeds with love and care and then watch them as they blossom and bear fruit. In doing so, they will awaken colour and fragrance and invite new and enduring relationships. In short, they will fall into life and we pray, will live it to the fullest.